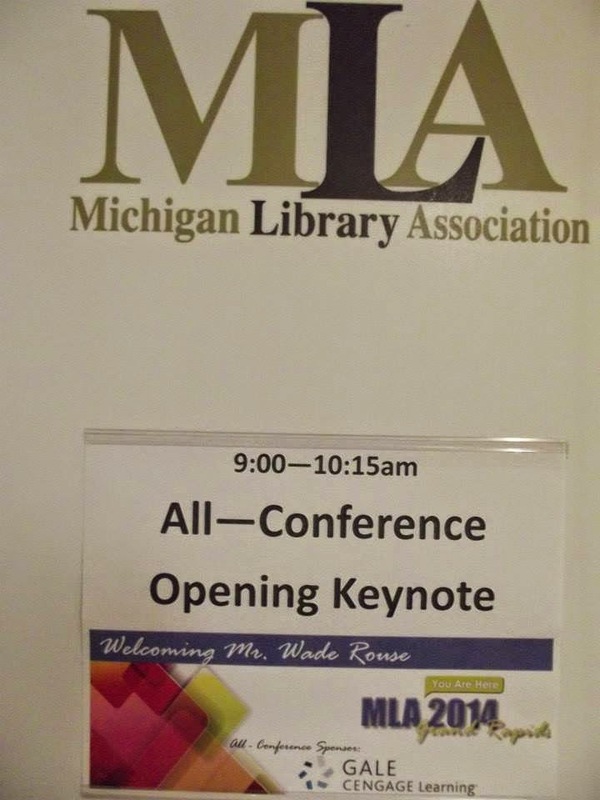 I was honored to be the kickoff keynote speaker for the Michigan Library Association's 2014 annual conference in October. 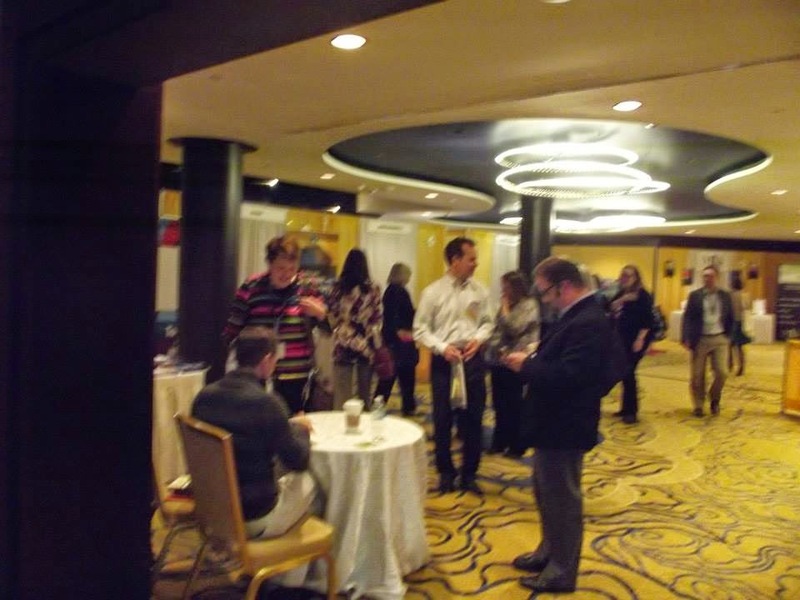 The event was held in Grand Rapids at the Amway Grand, and the entire experience matched the hotel's name and beauty: It was a grand day. 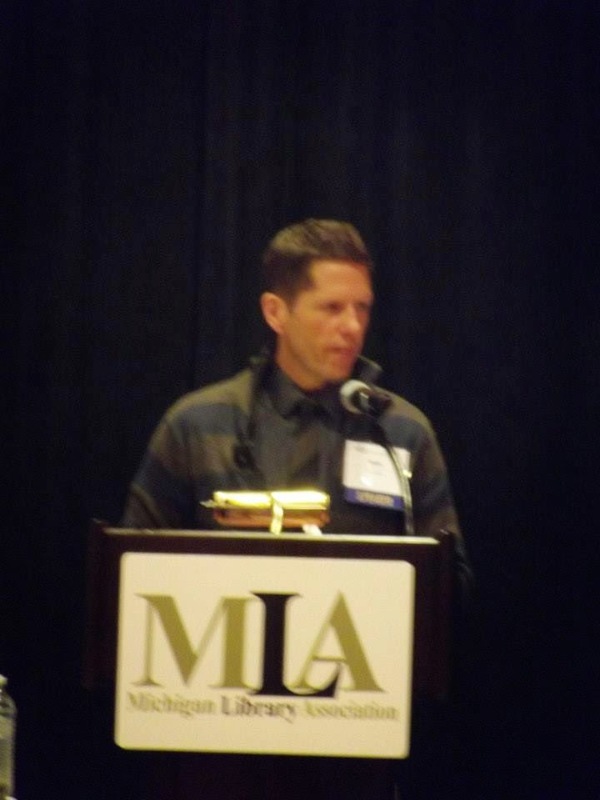 I received such an overwhelmingly positive response to my keynote, on which I talked about my enduring love for libraries and my gratitude for their influence on my life, that I was asked to share some of my thoughts. A few excerpts follow. My suggestion? Visit your local library. Our libraries are not only worlds of information and enchantment for children and adults, they remain the centers of our communities. This morning is particularly special to me because one of my earliest and fondest memories is going to the library, hand in hand with my grandmother, who used to volunteer there. Walking inside our local library, to me, was akin to entering heaven. It smelled like another world, a magical world, a world filled with secrets that I needed to know. My grandmother was a voracious reader, and she and my mother helped make me one as well. My grandmother's two favorite books were The Bible and Walden, and she jokingly said that in the Ozarks, where I grew up, it was heresy to read much else than the Bible or to put any book on a similar level. But she felt reading wasn't just great entertainment but a key to understanding the world and those who were different than she was. I spent hours in that library, reading, talking to the librarians about their favorite books. It was there that I read Nancy Drew and the Hardy Boys (Nancy Drew, of course, came first for me!). I read Where the Red Fern Grows and Call of the Wild. I read newspapers. I read magazines. I even read Erma Bombeck. My grandmother's refrain was always: " How many books do you think you can read this week?" Every summer was spent with my grandma and grampa at their log cabin on Sugar Creek. We had nothing but each other and books: No microwave, no TV, no phone. When my grandma would head up for groceries, she would also return with a truckload of books. She would read to me as we rocked on a glider that sat on a bluff overlooking the water, I would read in tree swings and on innertubes as I floated in circles. I would read on our rocky beach and by candlelight before I went to bed. I read, and I read, and I read. And that's when I started to write. I often felt as if I didn't fit in, and the local library served as my refuge. I was encouraged not only to read, but to be smart, to think critically, to think beyond the small world in which I lived. More than anything, I was encouraged to dream, and let me tell you this, once that seed is planted, it immediately takes root in a child's soul. There is nothing bigger, or more special, than a dream. 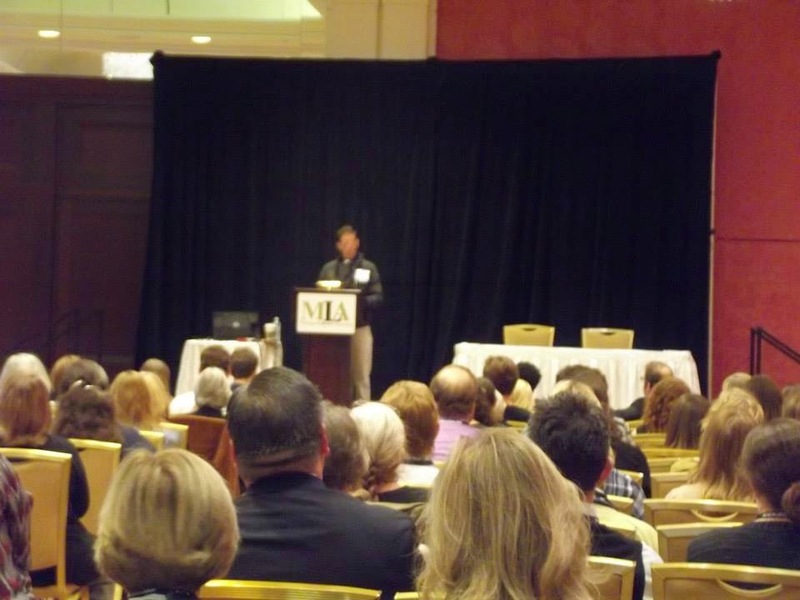 Even in college and graduate school, libraries remained the center of my – and my friends' – world. That is where we studied, we researched, we gathered, we read. And despite the stunning sea change in our library system today – as well as in publishing, believe me, I understand – that core has remain unchanged. Reading changes lives. Books change lives. Libraries change lives. And they remain the centers of our communities and our lives. I'm here to restate the obvious: What you do changes lives. And it continues to do so: I have traveled the US speaking at libraries – from Michigan, to Chicago, to California and the Carolinas – and I have been stunned at their enduring power. I have spoken to children in grade school and to women in their 90s. You have made me feel – more than anywhere else save for our nation's independent booksellers – that what I do is vitally important. And if you don't think that fuels a writer's soul – you are very mistaken. So, I simply want to say, upfront, what I'm sure too few people say to you on any given day: Thank you, from the bottom of my heart. I found a leaf, by chance, pressed between the pages of an old encyclopedia I had sitting on the bookshelves in my writing studio. I hadn’t picked up that encyclopedia in decades but happened to pluck it off my writing studio bookshelves, also by chance, as I felt suddenly compelled to reconnect to pages, to my past, rather than pull up an online “dictionary” via my MacBook software. The leaf I happened upon – stuffed amongst the “M’s”, I assumed, because it was smack-dab in the middle of the dictionary where the weight was equally distributed – took me back to another place and time. I immediately remembered the warm October afternoon my mom and I had found this gigantic oak leaf as we walked a trail in our sun-dappled Ozarks woods. I had picked up that leaf for an autumnal science project and then, after my assignment was over, had used it as a bookmark in my encyclopedia, a book I used to read obsessively, as I was fascinated as a kid by words, their origins, their definitions, their synonyms. Book and leaf had remained united for decades. The day I found that leaf, I reconnected to my past and was reminded that the fallen pieces of our history shouldn’t always be forgotten or tossed away and replaced by the newest and latest. That leaf and that encyclopedia were important pieces of my past: My mother, my Ozarks childhood, my love of words made me who I am today. They were my seeds of growth, just like the acorns I used to stumble across in our woods turned into giant oaks. There is a beautiful symmetry in life, I’ve come to realize, an ability to grow up, move on, change, become a new person, without forgetting who you were. The trick is not to run away from our past but to allow ourselves to remember. That rediscovered leaf – brittle, flattened, crumbling – allowed me to reconnect with my history. The Octobers since Gary and I have moved to the Beach Coast – this is now our eighth – have become stoked in new traditions based in the past. 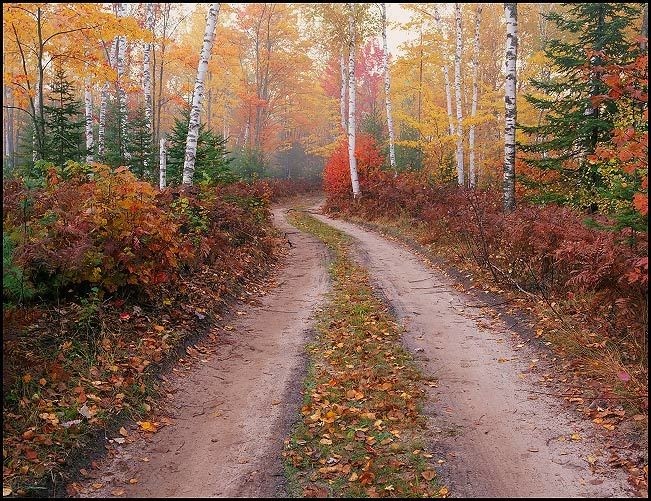 We gather acorns from our woods, which Gary stacks in McCoy pots and places around our cottage, “Turkey Run.” We stand under our towering sugar maples (now my favorite tree), wait for a strong wind to come and let the dazzling rainbow of leaves rain down over our bodies and gather at our feet. We then pick through them and gather our favorites – Gary loves the brilliant red while I adore the yellow-orange – which we use to decorate tables and fireplace mantels. And, yes, we now press a few of those breathtakingly colorful maple leaves into a random assortment of books that stack our cottage – those bookshelves in my office, the canoe-shaped corner cabinets, the pine shelves that line Turkey Run – knowing that one day, in the future, we – or someone else – will happen to pop open a novel or even one of my memoirs, and there will be a fallen piece of our past waiting to open a piece of our future. My old encyclopedia remains on my writing desk and holds two bookmarks: A leaf from my past and one from my present.